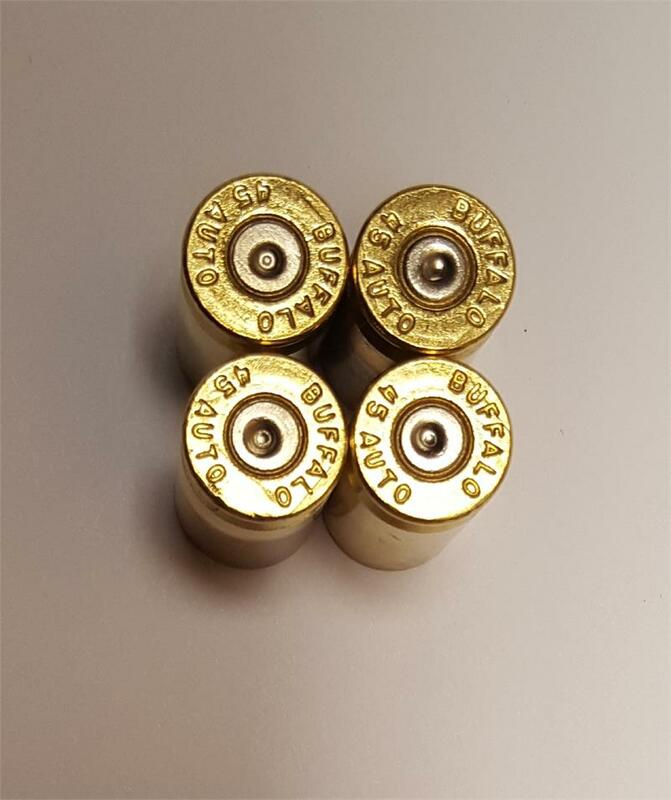 45 ACP once fired large primer matching head stamp Buffalo yellow pistol brass. Sold in 250ct lots. This brass is manufactured for Buffalo Ammunition by Starline. It is Starline brass with a Buffalo Head Stamp.